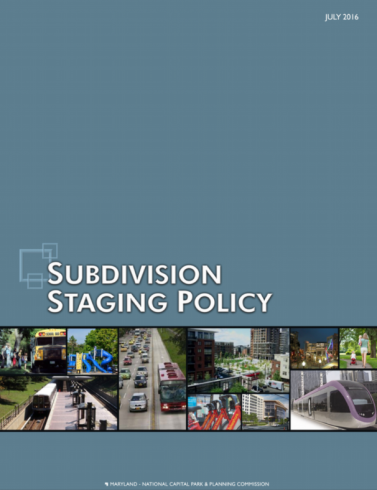 Subdivision Staging Policy Technical Appendix. NOTE: A correction has been has made to Table 17 on page 100 and to the table listed on page 156 (August 11, 2016). NOTE: A correction has been made to Table 16 – Recommended Transportation Impact Tax Rates on page 43 (Nov. 3, 2016).